It’s awards season and Hollywood has been very busy in the last couple of weeks; the Golden Globes and Screen Actors Guild Awards have come and gone. Now we have The Grammys and The Oscars to look forward to. Let’s talk about some of the 2018 Oscar Nominees for a second… The Golden Globes usually give some kind of indication of who will be nominated for the Oscars, but there were a few surprises this year. 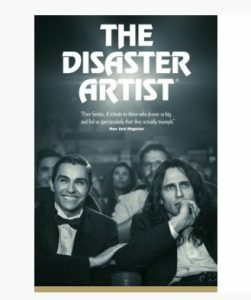 For example… James Franco won for Lead Actor at the Globes for The Disaster Artist but he didn’t even get a nod for an Oscar nomination… hmmm very interesting. 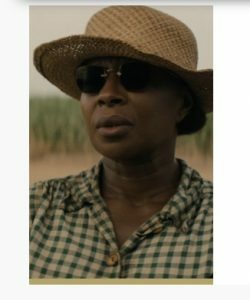 Now, now, the queen of RnB has managed to get not one but TWO Oscar nominations for the Netflix movie, Mudbound – Best Supporting Actress and Music (Original Song) for writing and performing the theme tune, Mighty River. Another shocker this year is why Holly Hunter – The Big Sick and Tiffany Haddish- Girls Trip; were left out of the Best Supporting Actress categories?! Holly Hunter’s great work as a anxious mother in The Big Sick deserved a nod. Let’s not even start with Tiffany Haddish, who turned a her role in Girls Trip into one of the funniest comedy performances we’ve seen in years! Do we think The Academy doesn’t take comedy actors and actresses seriously? Whatever the case may be, we look forward to the event hosted by Jimmy Kimmel and of course those red carpet looks. You can see the rest of the list of 2018 nominees from the Oscars website. It’s bound to be a very eventful ceremony and we simply cannot wait to see who wins on the night!! !